Being a make-up artist has long been Antoinette’s passion. “I love bringing out the natural beauty of people. I enjoy working with all kind of faces, with the goal of bringing out the best features of everyone I am working with,” says Antoinette. Antoinette views herself as an artist as much as a technician, working to create the best treatment for each individual. Eyebrow treatments are a perfect example of this—she uses a range of the latest microblading and 3D techniques to create a natural-looking brow to suit each individual client. Antoinette is certified aesthetician, with more than 25 years experience in the beauty industry. 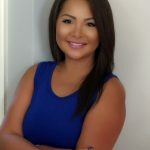 She has kept up with the latest, cutting edge techniques and training, including becoming a Phibrows artist certified by the Master Phi Academy in microblading. More than anything else, however, Antoinette’s clients appreciate her warm, friendly and professional disposition as she works with them to enhance their natural beauty in a manner unique to each one.